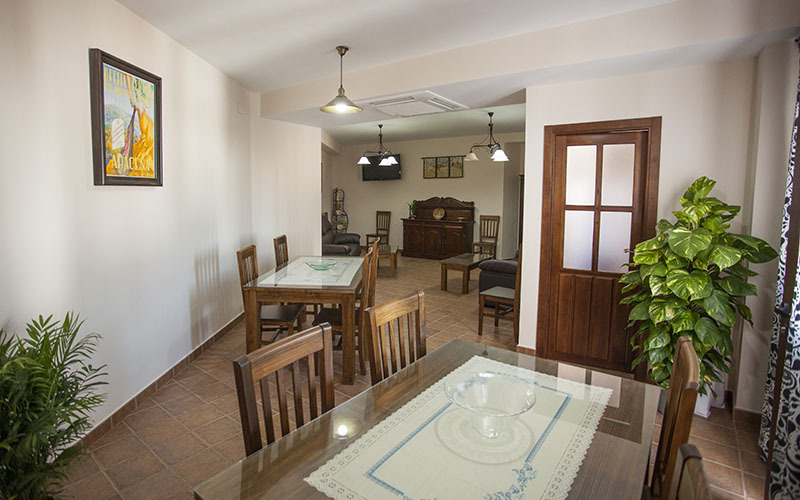 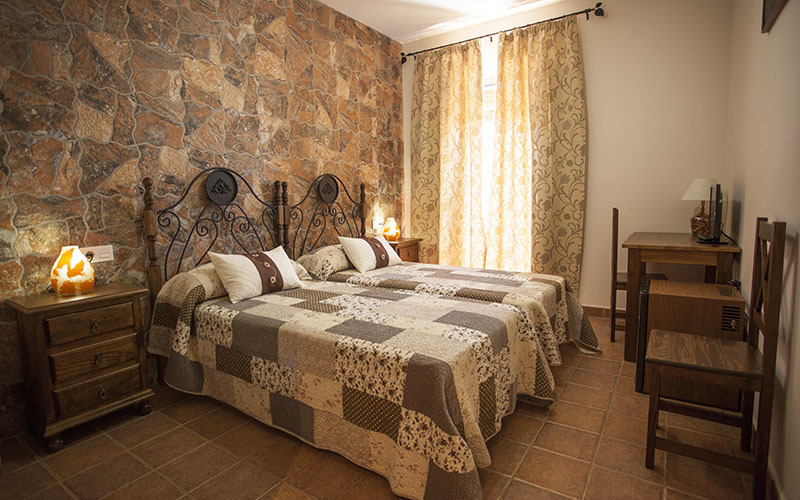 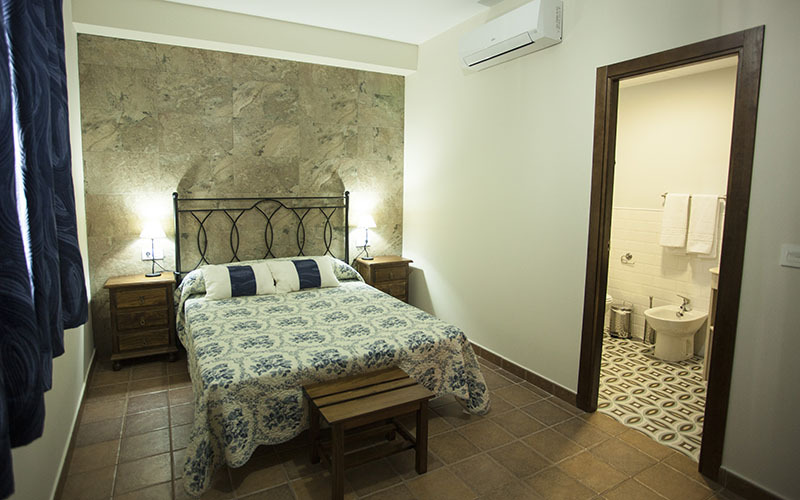 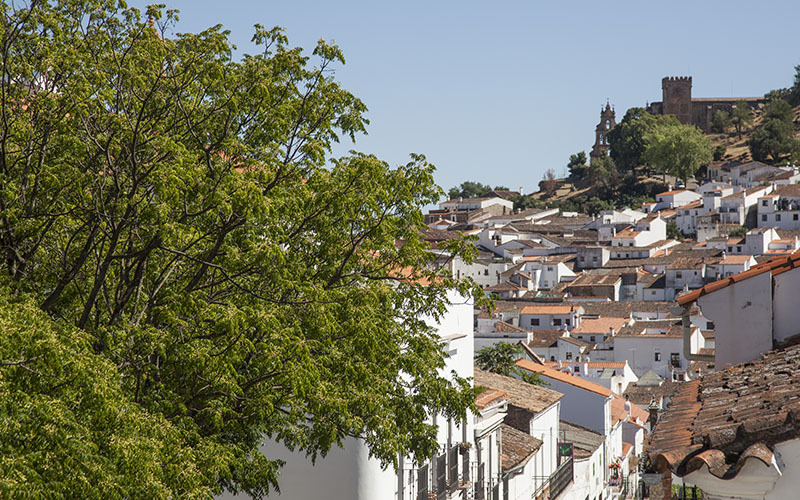 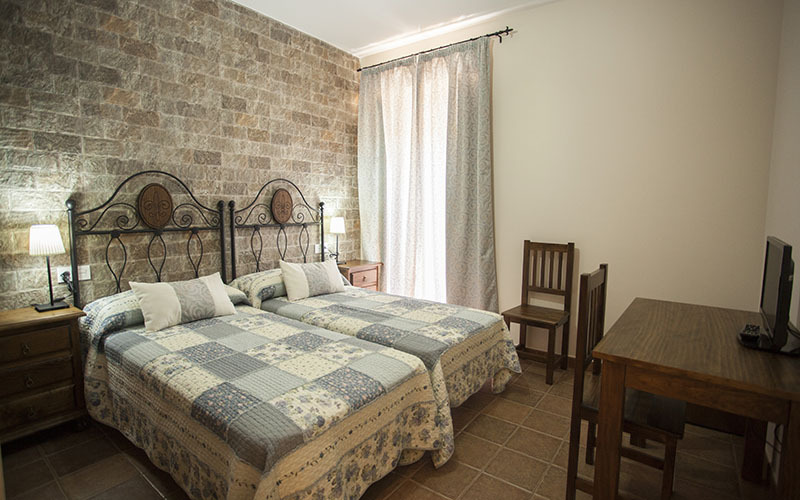 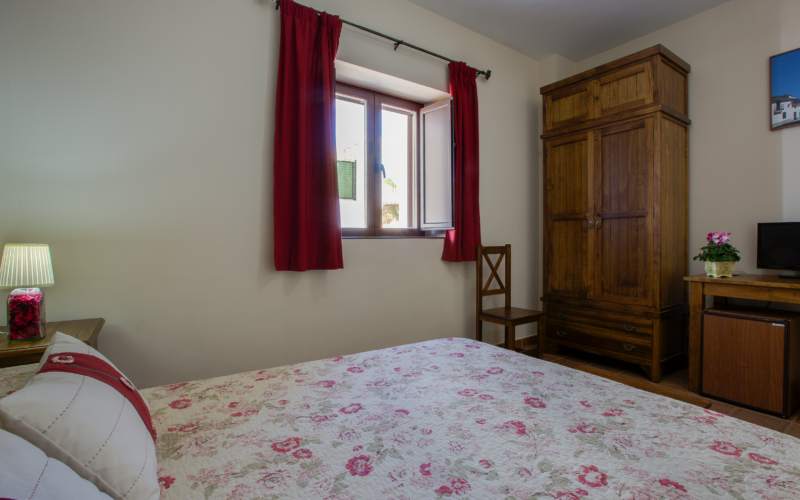 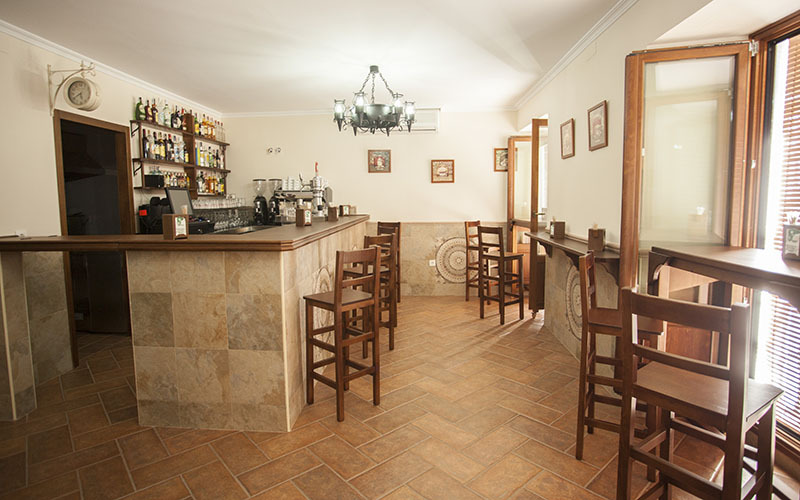 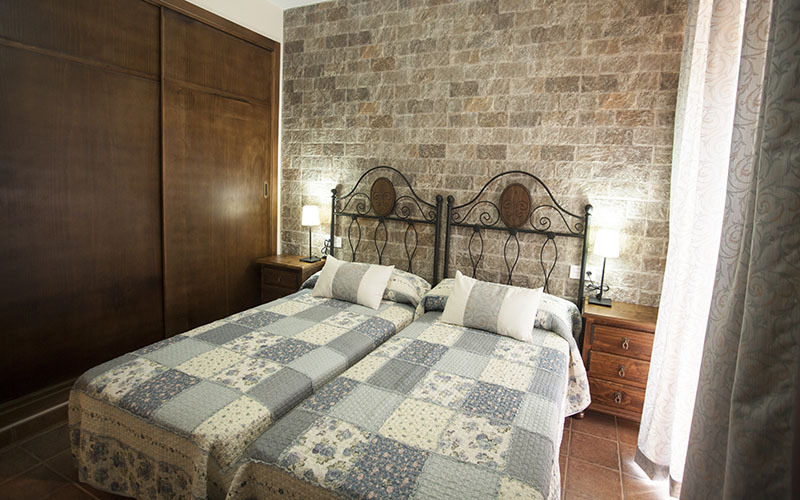 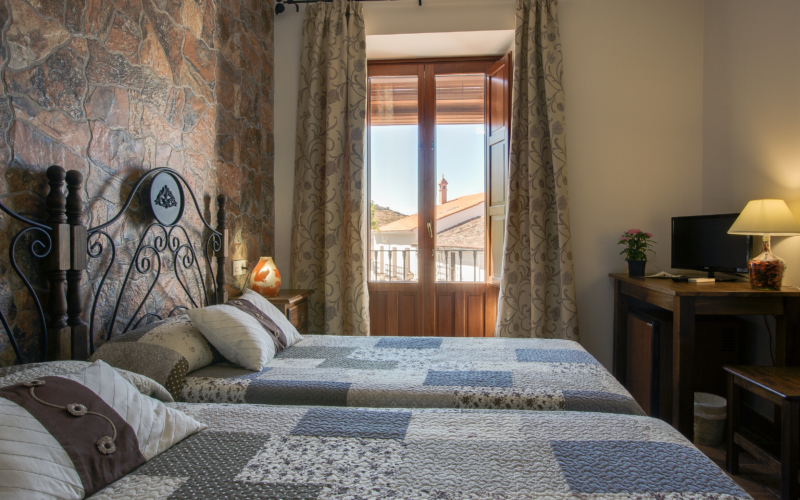 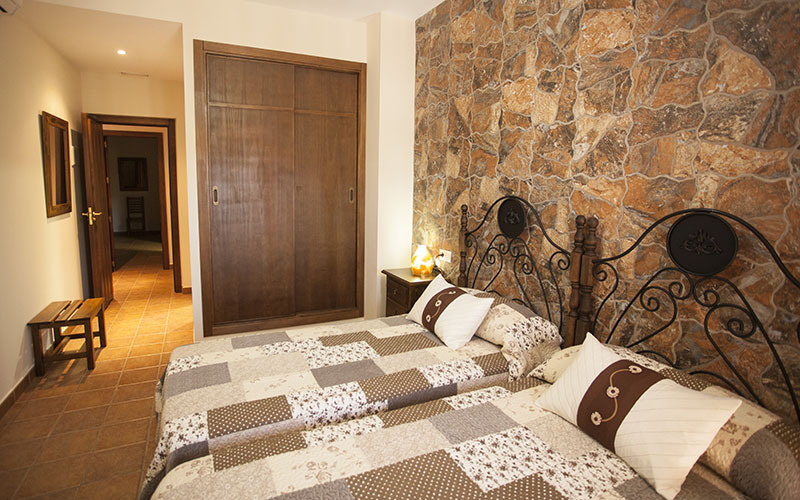 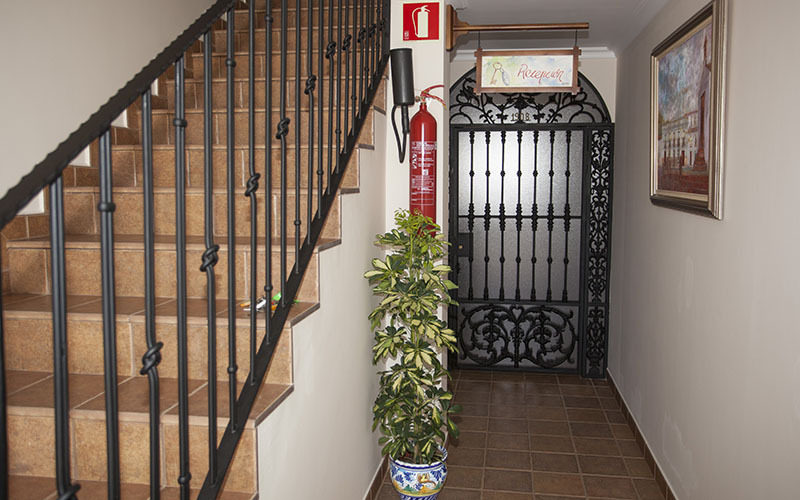 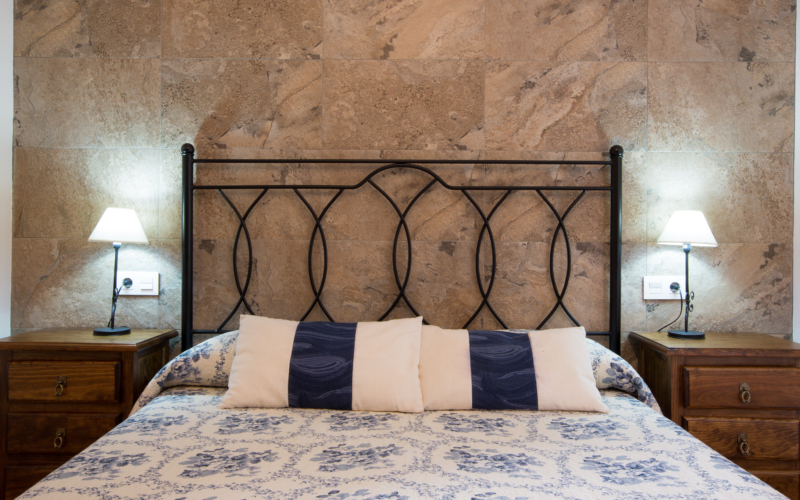 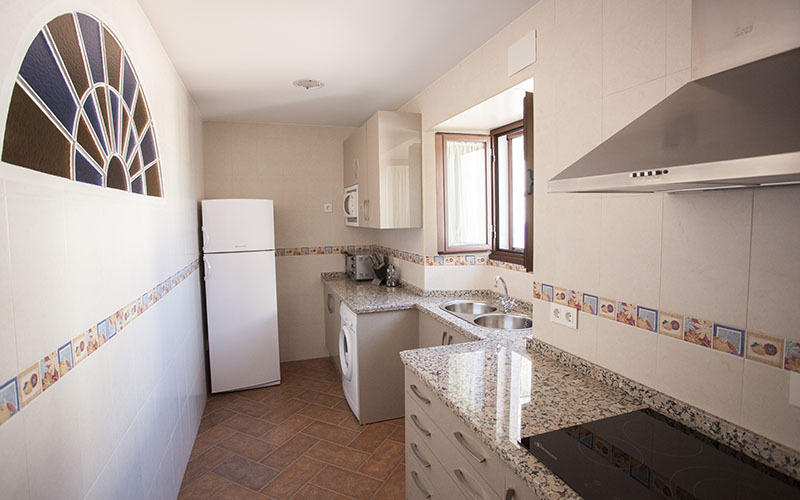 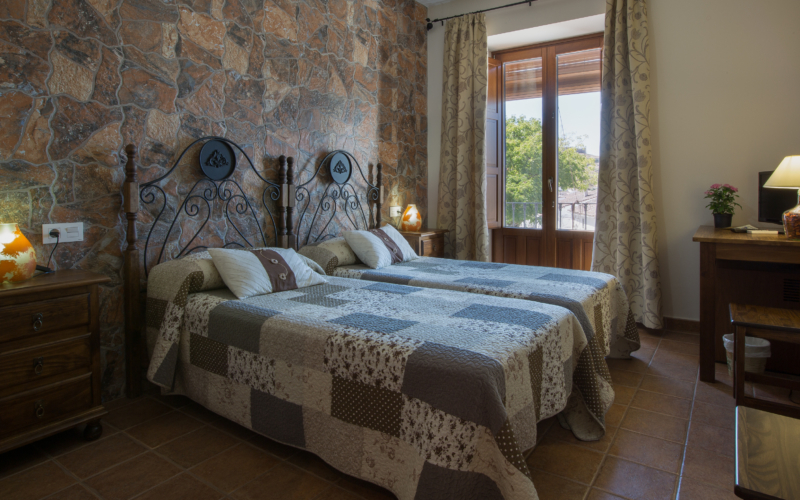 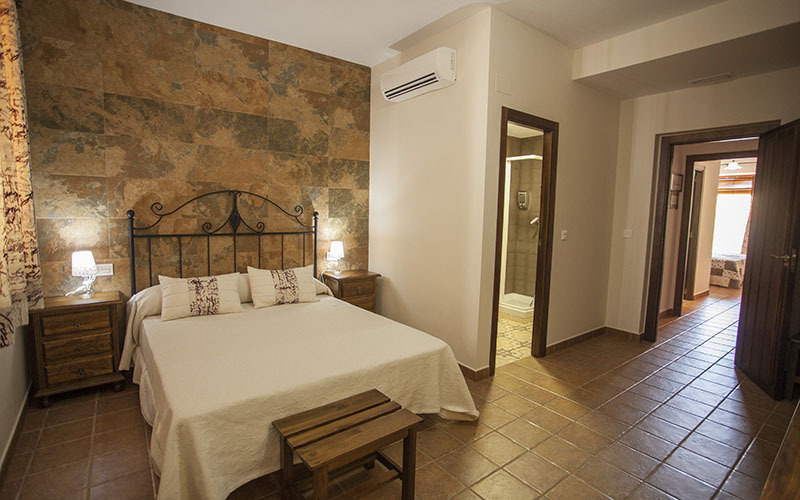 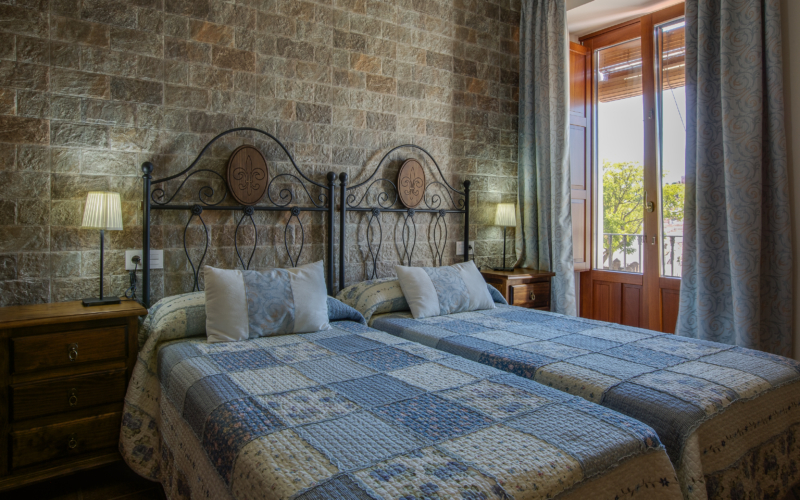 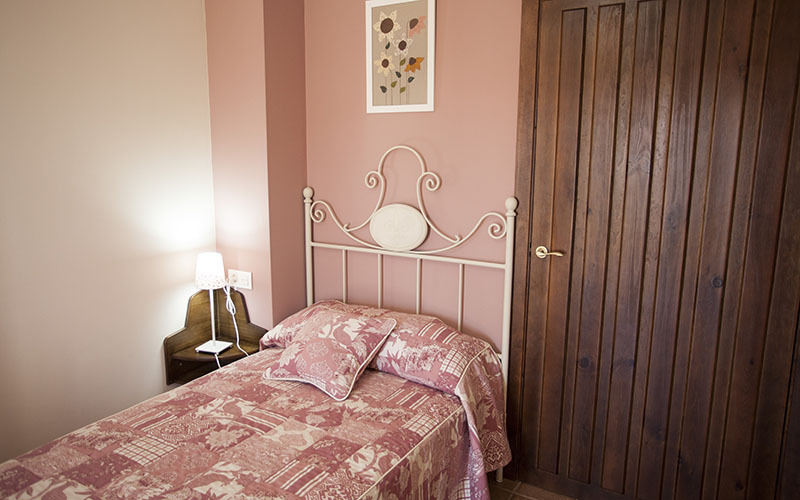 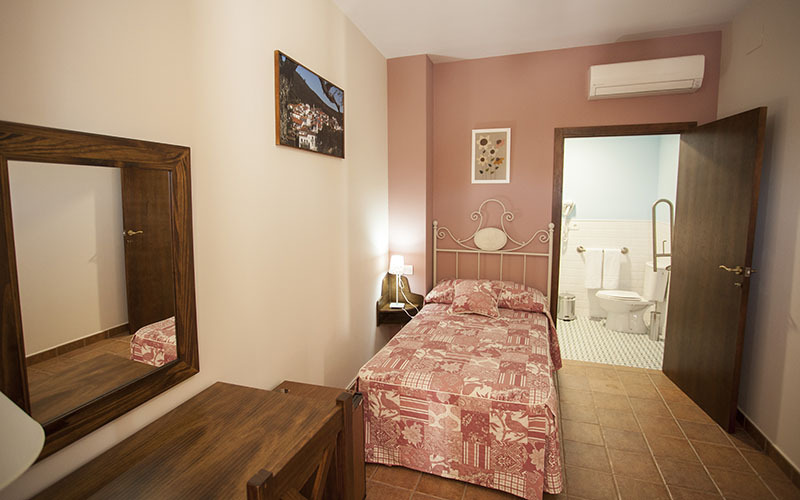 Located in a privileged area of Aracena, a few meters from the Hermitage of Santa Lucia and the center of the town, the Rural House Cinco Balcones offers its visitors a pleasant and comfortable stay in a completely renovated in the year 2013 building. 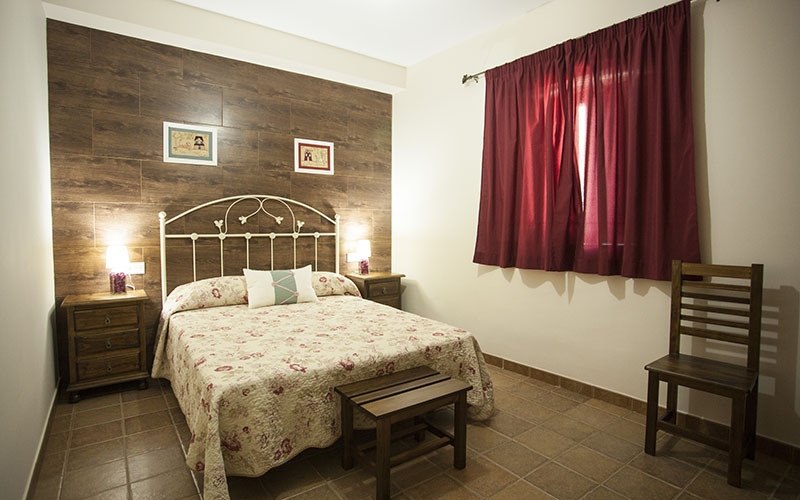 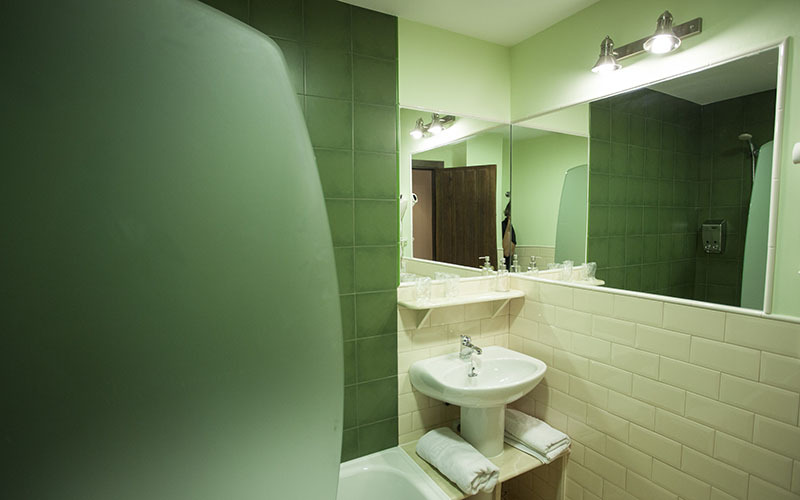 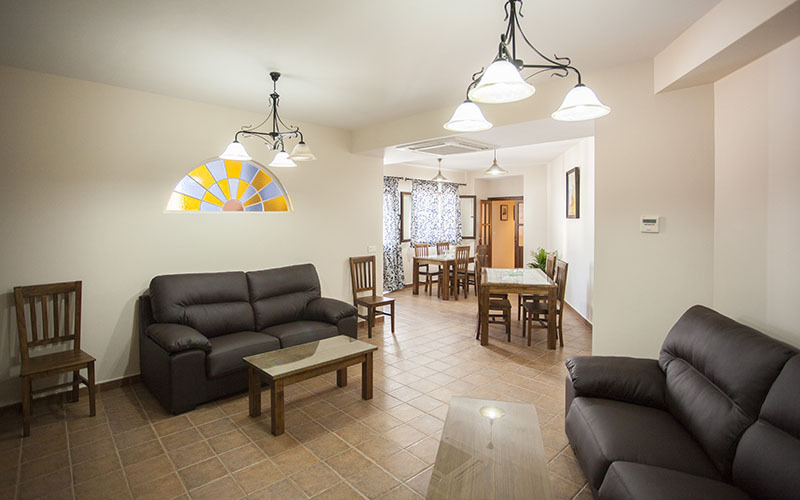 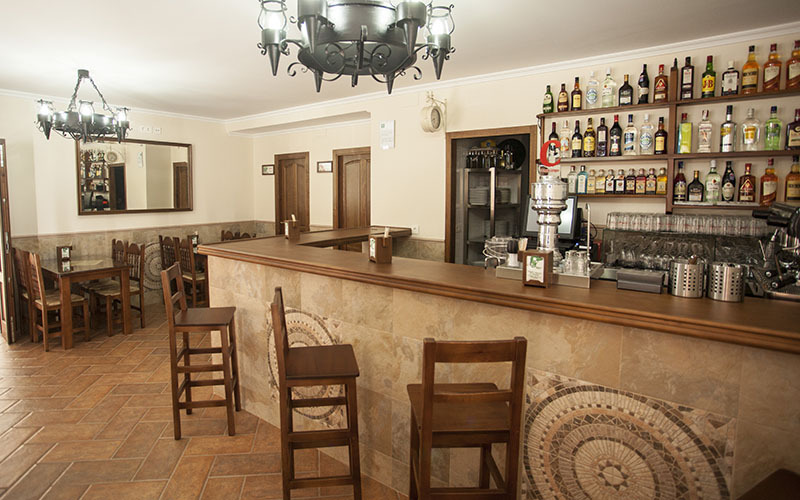 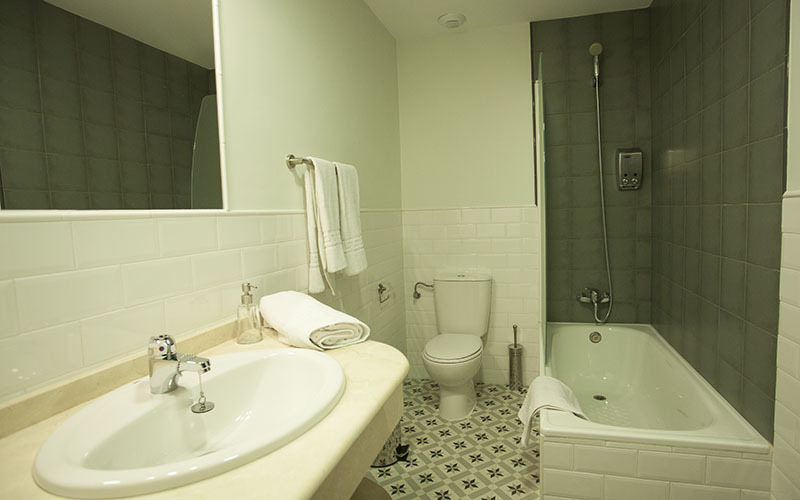 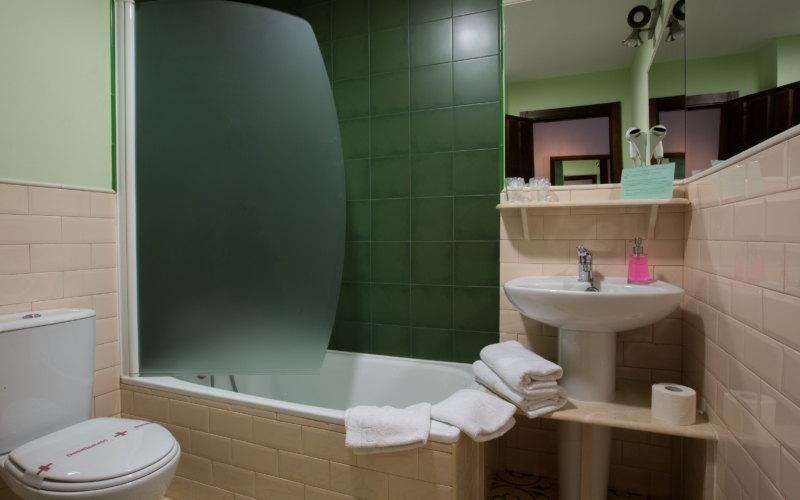 Our accommodation capacity is of six double rooms and one single, all which can be rented separately and they are fully equipped with TV, large bathroom, air conditioning and even minibar. 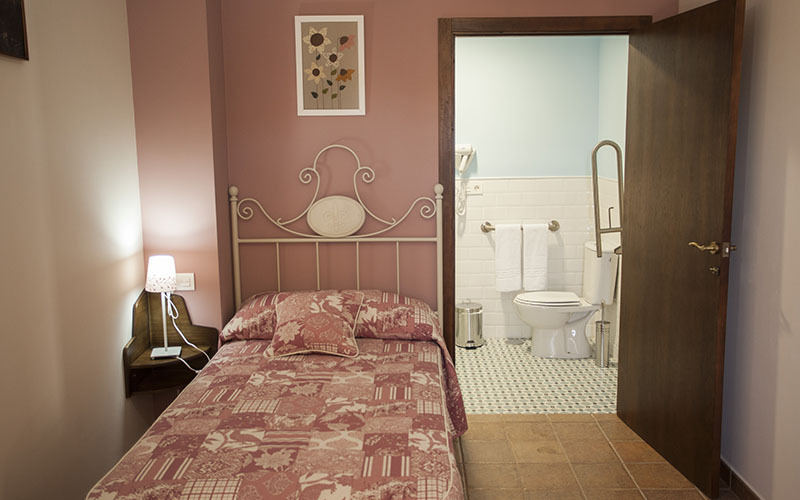 The single room is adapted for handicapped people. 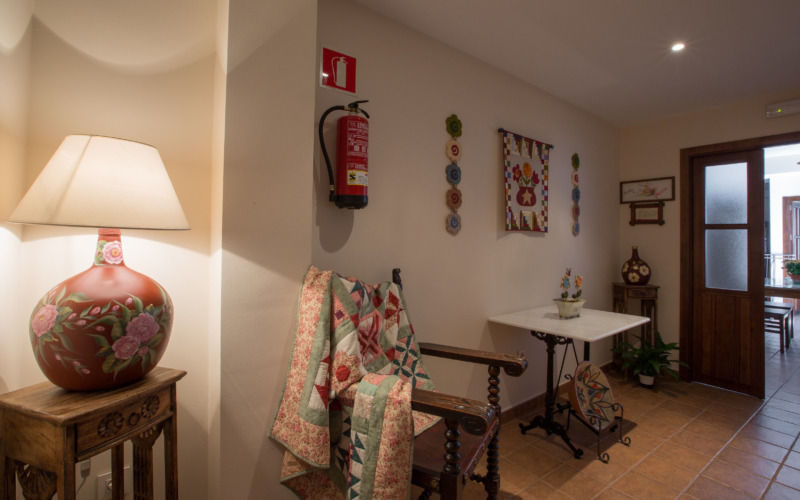 Common areas, of free use for guests, include a spacious living room, fully equipped kitchen and library with an extensive collection of Serrano authors, a selected and careful selection of child-themed books. 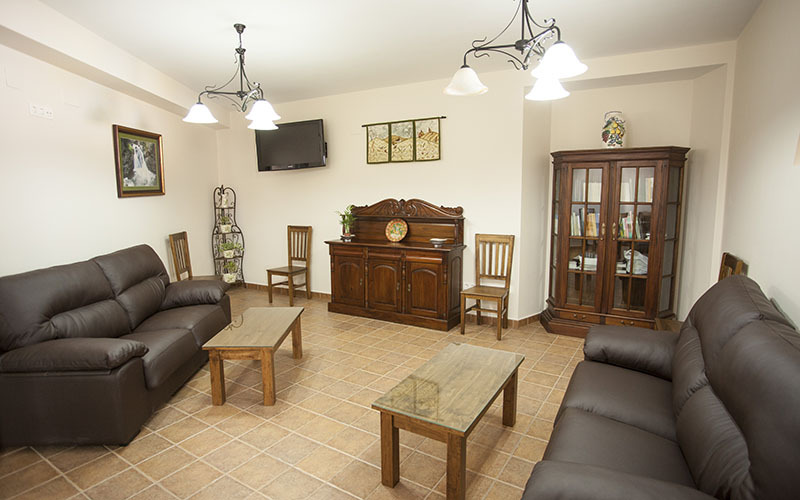 We have free WIFI internet connection in all rooms. 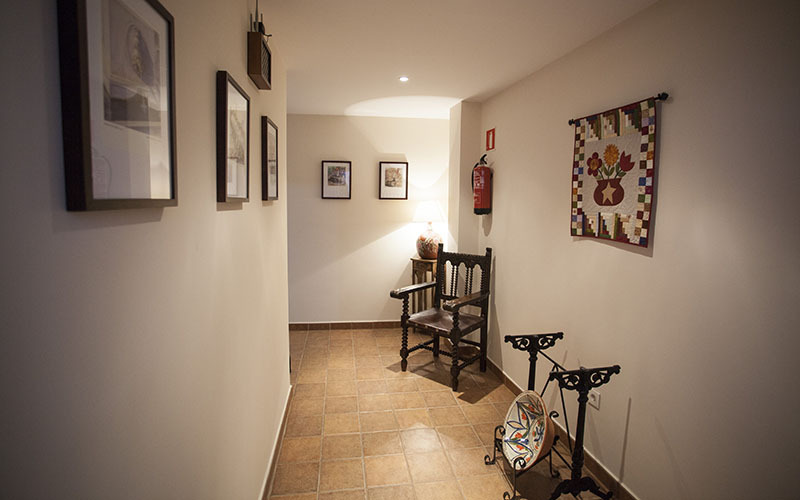 As a curiosity, each room have a name of one of the Aracenenses villages: Corterrangel, Castañuelo, Carboneras, Jabuguillo, Valdezufre, La Umbría and the missing Granaillas. 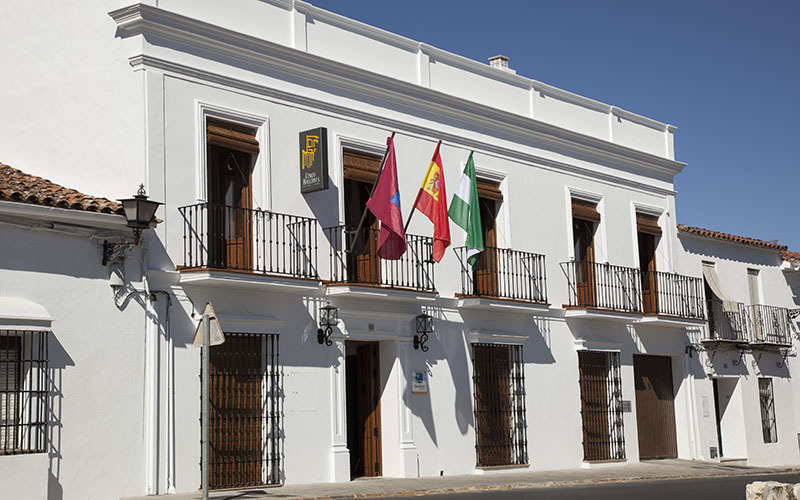 They are illustrated by Serrano authors, with paintings of José María Franco, Manuel Moya poems and photographs by Fernando Palacios. 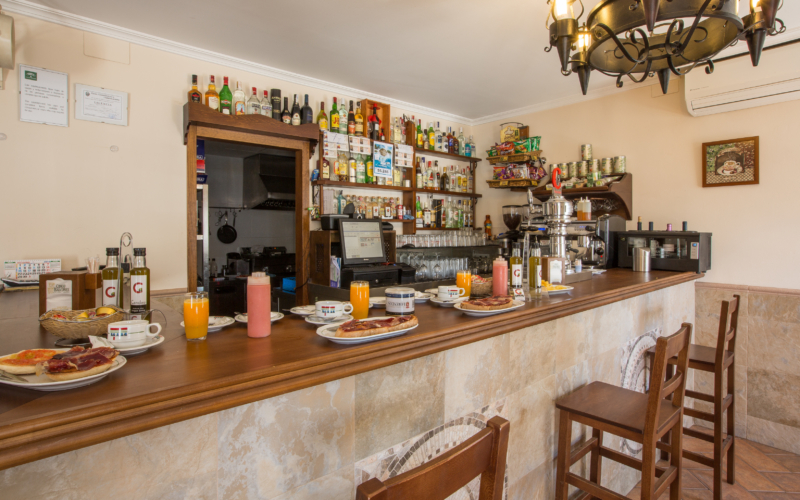 The building has a cafeteria where you can enjoy authentic Serrano breakfasts, that will not go unnoticed to your palate. 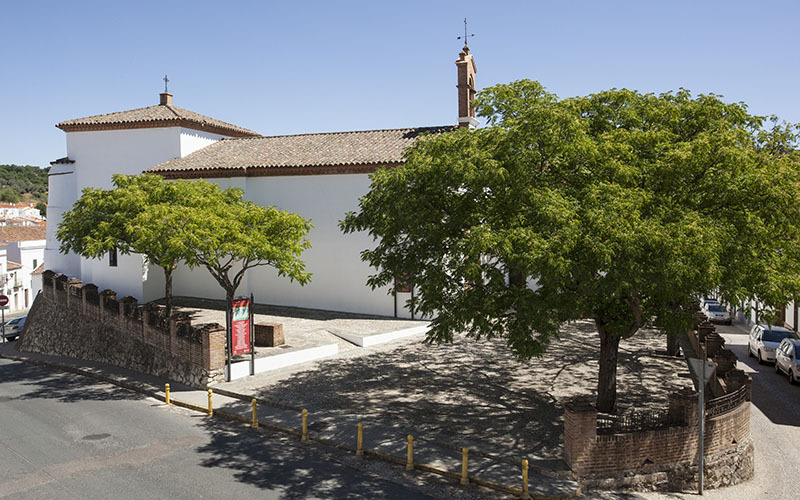 Santa Lucía In the background houses where its located the Rural House Cinco Balcones. 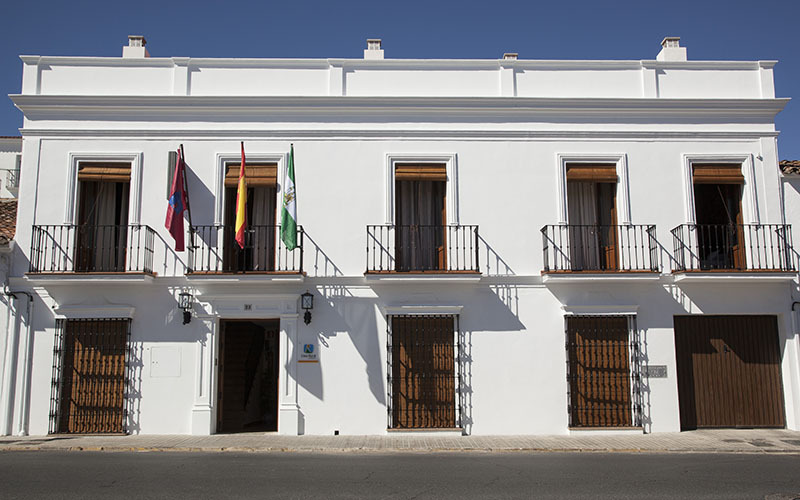 Author José Domínguez Bécquer. 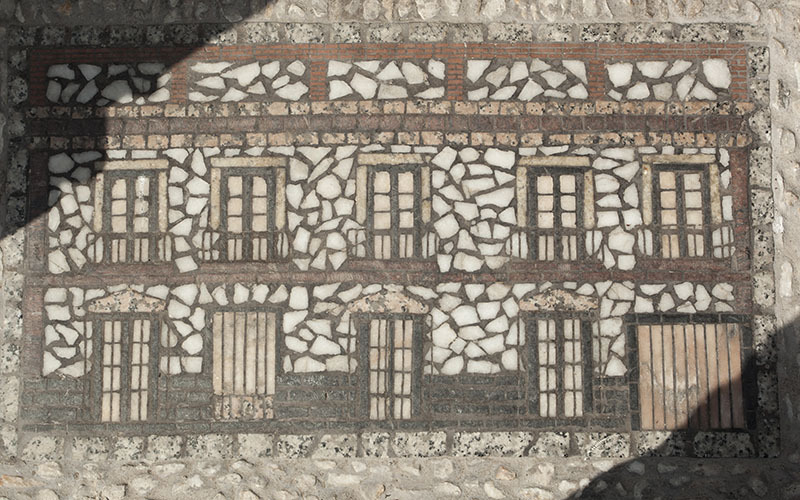 June 1835. 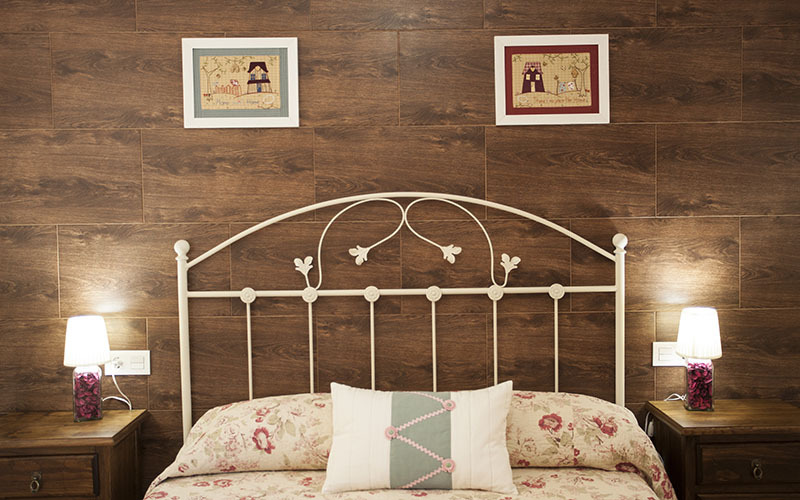 Drawing on paper owned by the Royal Academy.